Cyn’niah Burton loves dancing, making silly faces and doing "makeup tutorials." A 3-year-old girl is warming hearts near and far after videos showing her infectious personality have gone viral. Cyn’niah Burton, aka Little Cee Bitty Bee, has racked up hundreds of thousands of views on Facebook. The little girl loves to sing, dance, make silly faces and do "makeup tutorials." 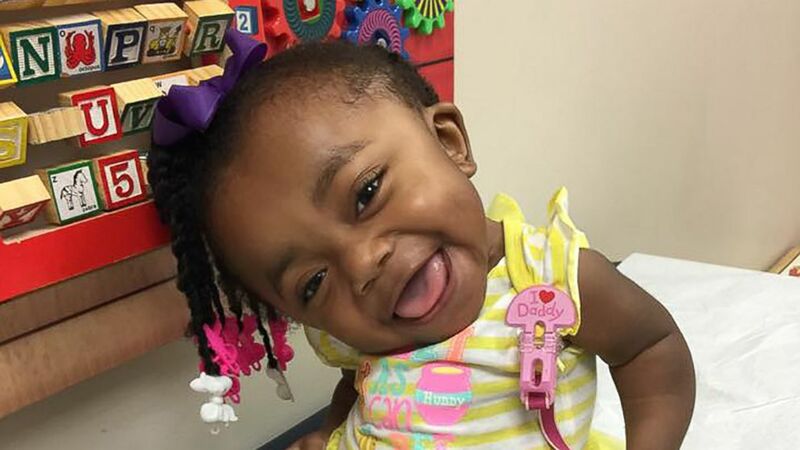 "She's absolutely the sweetest, funniest, inspirational baby I've ever laid eyes on," mom Destini Jackson of Woodville, Mississippi, told "Good Morning America." "She automatically captures your heart and you can see the determination in her. She's so bubbly and even when she's in pain, she's constantly smiling and never lets anything keep her down." Cyn’niah was born with a rare genetic disease called osteogenesis imperfecta type 3, which causes her brittle bones to fracture easily. Video of Roman Dinkel, 2, has racked up millions of views on Facebook. "She showed so much love to him and couldn't put him down," Kenny Thomas said. Liberty Wexler, 3 months, has nailed looks of about 20 power females in history. 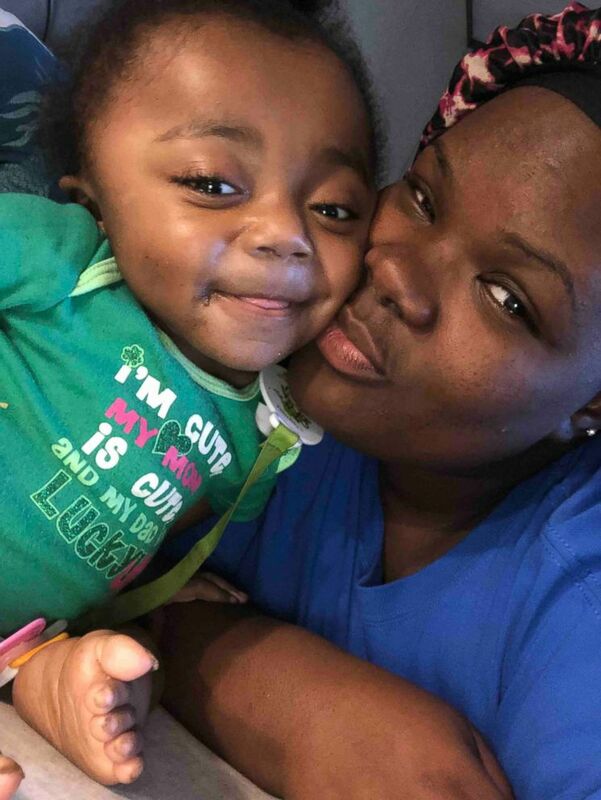 "She spent one month in the NICU -- we brought her home then brought her back due to colic because of the casts," Jackson said, adding that Cyn'niah was born with several broken bones. "I had to teach myself how to handle her." Because her bones are weak, Cyn'niah is unable to crawl or walk. She will undergo a surgery later this month to add telescoping rods to her legs and thigh bones, which extend as she grows. Jackson said the procedure may allow Cyn’niah to apply enough pressure to her legs so she can hopefully walk in the future. "She knows that other kids are moving around and she tries to do what they do," Jackson said. "I can tell she wants to walk, and she can tell something is different about her." When Cyn’niah began talking, her mom noticed her charm and decided to create a Facebook page to document her adventures. "She would constantly make me laugh and I was like, 'Oh my gosh, no one will believe me that this little 3-year-old girl with this condition would do this,'" Jackson said. "She really is a character." (Destini Jackson) Cyn'niah Burton, 3, poses in a photo with her mom, Destini Jackson of Woodville, Mississippi. Cyn’niah has delighted thousands of followers in adorable footage showing her spunky side. Jackson hopes the videos bring awareness to osteogenesis imperfecta. "I want [Cyn’niah] to know, 'You're a little special, but it doesn't mean you're not like every other child,'" Jackson said. "If she keeps the same attitude, then she will go above and beyond of what people think she could do." (Destini Jackson) Cyn'niah Burton, aka Little Cee Bitty Bee, has racked up hundreds of thousands of views on Facebook showing off her infectious personality.